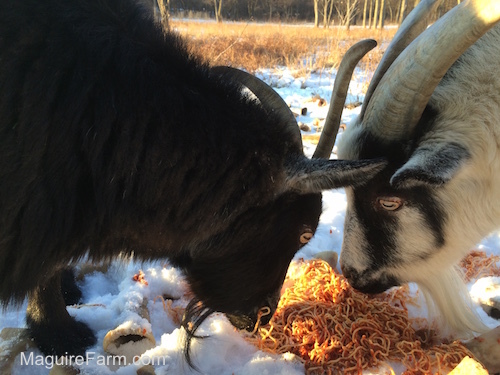 Sweet-Pea and Billy-Bob eating spaghetti and loving every slurp. 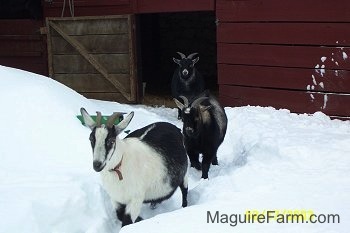 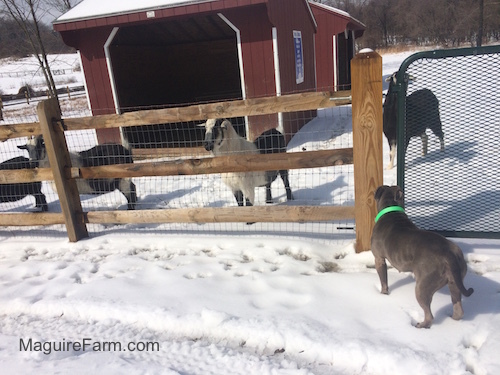 Molly with twin kids Butternut and Frosty - The goats are not too keen with the 20 inches of snow that fell. 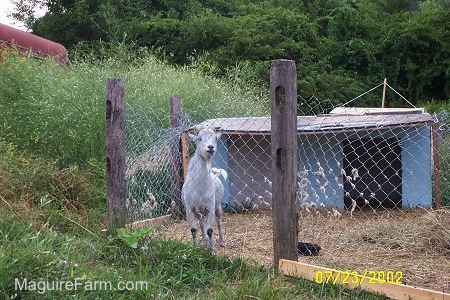 Goats love to climb. 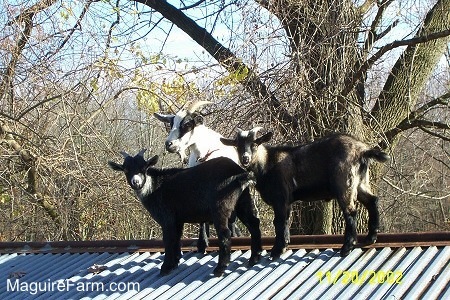 If they can get up onto the roof, they will (this includes cars). 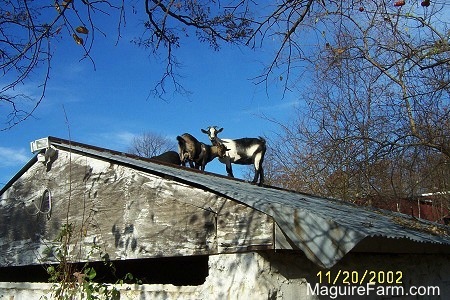 This photo shows a mom goat and her two kids on a springhouse roof.